Our aim is to continue to provide a high-quality service to the local community and region. 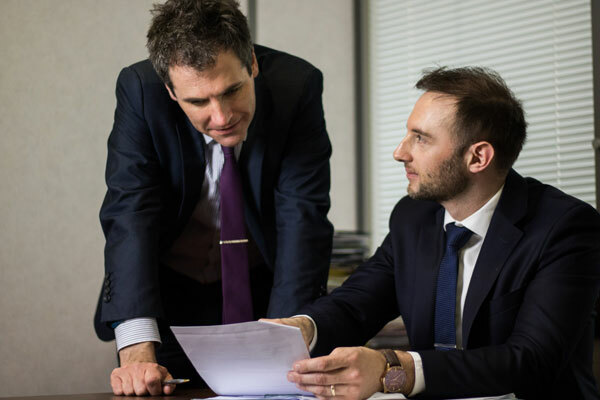 We understand our clients’ needs and tailor our work to each set of circumstances, providing high quality, cost-effective advice. 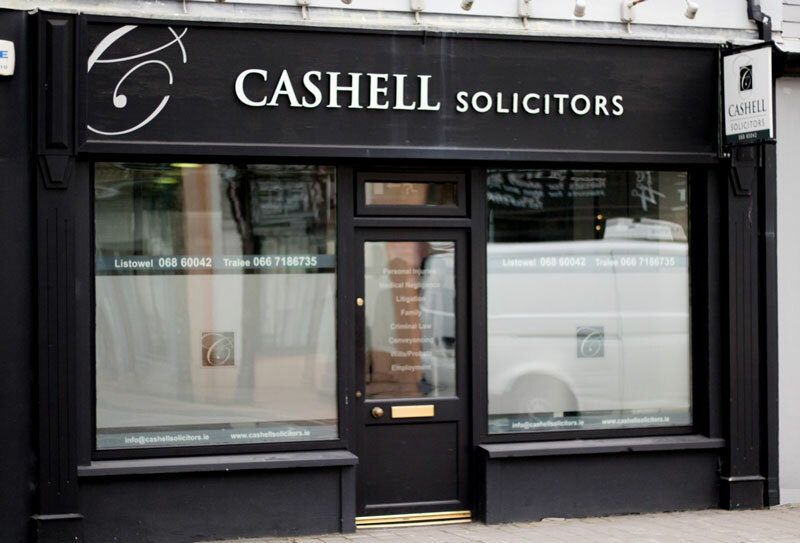 Since our establishment in Tralee, County Kerry in 2011, Cashell Solicitors has built and maintained strong ties throughout the southwest of Ireland. The firm combines experience, in-depth knowledge and quality to provide legal advice on a wide range of practice areas to a variety of institutional, commercial and private clients. We have grown and adapted in direct response to our clients’ changing needs. Due to continual success Cashell Solictors branched out and opened an additional office in Listowel, County Kerry in early 2016. 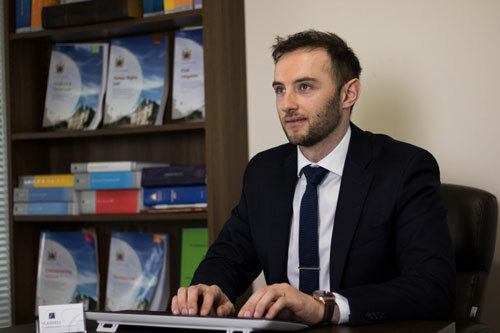 Cashell Solicitors offers specific expertise in personal injuries, medical negligence, litigation, conveyancing, wills/probate as well as employment law, family law and also criminal law. The firm is committed to responding to the needs of its clients, whether private or corporate, by combining its established values with specialist expertise. We appreciate the importance of acting promptly in business and achieve this by applying a multi-disciplinary approach to each engagement which avails of the knowledge of all sections of our practice. 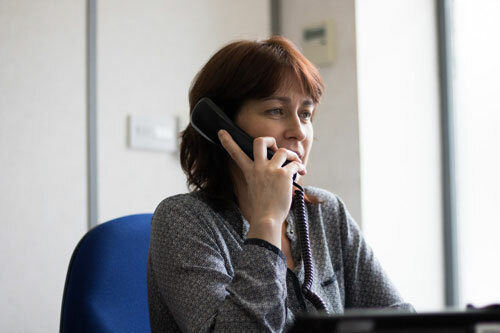 We believe a Solicitors’ practice should provide not only technical ability in the areas of expertise offered but also client satisfaction and peace of mind from knowing that a solicitor must maintain high standards of professional integrity and skill, which are backed by the Law Society. One of the most important features is independence and impartiality, without any conflict of interest, when acting on behalf of the client. We are a results-orientated law firm. We have compassion for others and a determined spirit. We are experienced and straight talking. Our reputation is built on our ability to listen carefully to our clients, aspiring always to exceed expectations. We ensure that every client who comes to our firm is so satisfied with the service we provide that they recommend us to others and that they return to us in the future whenever they have any other legal need… and in fact over two thirds of our clients annually have either been recommended to us or have come back having used us in the past. We think that says it all! Damien is principal of Cashell Solicitors. Damien graduated from NUIG Galway with an honours B.A. degree & an honours LLB Post-graduate degree. 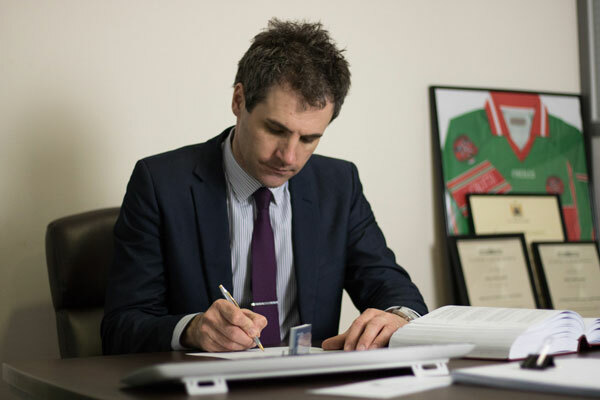 He qualified as a Solicitor in 2010 and subsequently opened his own practice in Tralee in 2011. In 2016, Cashell Solicitors made the decision to expand and open a second office in Listowel. 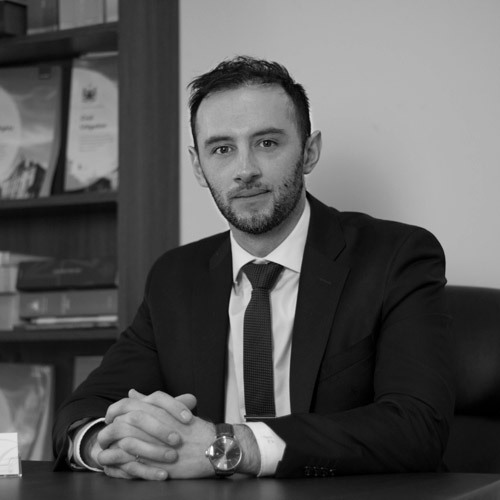 Damien practices in all areas of law, with particular speciality in medical negligence and personal injuries claims. He has acted for claimants in cases involving catastrophic brain injuries, work place accidents and delayed diagnosis of cancer. He has ran and negotiated many cases where liability was strongly in dispute. 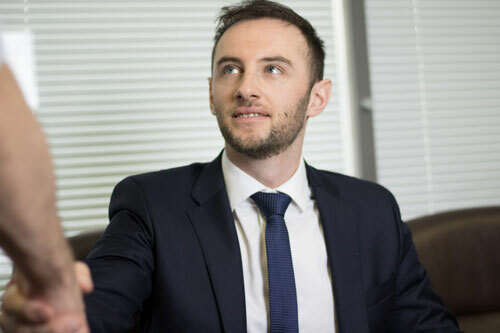 Damien has written articles and given presentations locally on a variety of topics including Wills/Probate, Rights of Way, Personal Injuries/Medical Negligence. 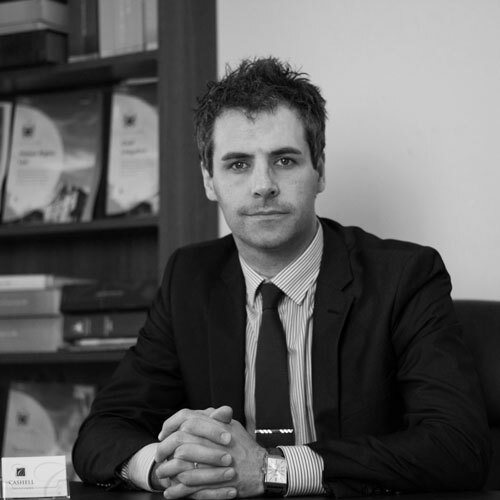 John Cashell, BA LLB, joined the practice in early 2014. John holds a BA, LLB from National University of Ireland, Galway. John practices in all areas of law, with particular speciality in employment and criminal law. John provides practical and pragmatic advice on contracts, internal disciplinary, grievances and other employment related matters. With regard to criminal law, John takes a particularly conscientious approach in preparation for each court hearing ensuring that every angle is covered. John also has very strong negotiating skills which have proved valuable on many cases in the past.